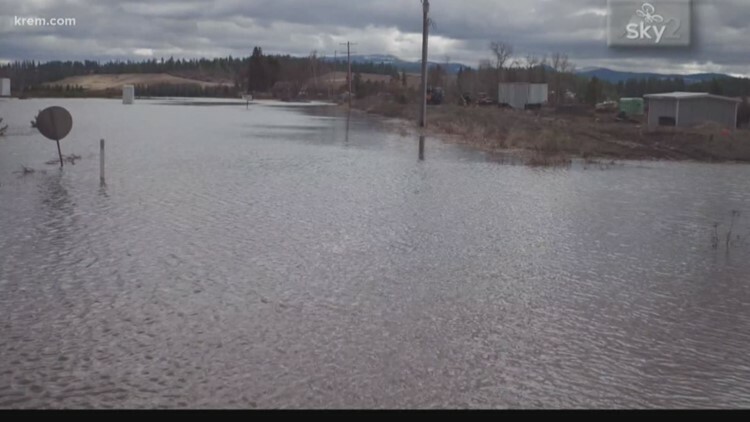 KREM Meteorologist Thomas Patrick explores how much rain the Inland Northwest has received so far in April compared to previous years. 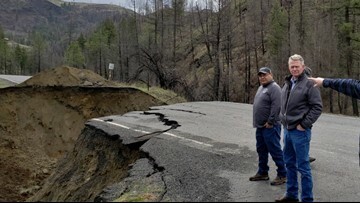 Many roads in North Central Idaho are washed out or collapsed after the south fork of the Clearwater River reached record levels last week. 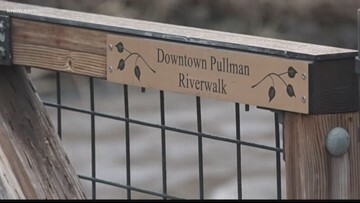 The NWS said on Saturday that Pullman had recorded 11 straight days of measurable rain, the longest stretch that has started in March. 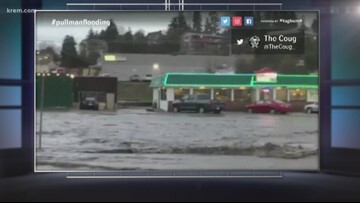 KREM Meteorologist Thomas Patrick explains how flash flooding in Pullman on Tuesday was vastly different than the historic February 1996 flood. Two pedestrian bridges use break-away technology to avoid total destruction. A flood swept through Pullman on Tuesday, leaving destruction in its wake. 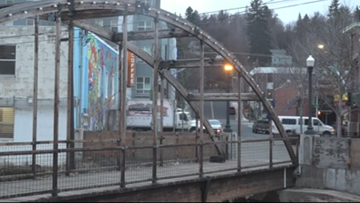 One of the main concerns was a low pedestrian bridge downtown. KREM reporter Casey Decker explains the break-away technology that prevents the destruction of bridges. 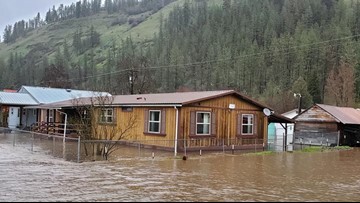 A mudslide occurred in Kamiah near milepost 70 on Highway 12 Tuesday evening. Crews were able to clear the area by early Wednesday morning. 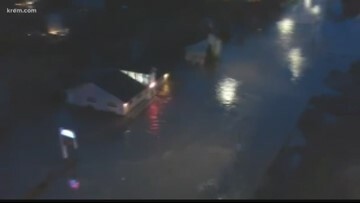 The Palouse is under a flood advisory after heavy rain caused overflow in local streams. Grand Ave. through the city of Pullman is closed at Stadium Way. There is is a high confidence that Tuesday's snow will be the last of the winter. 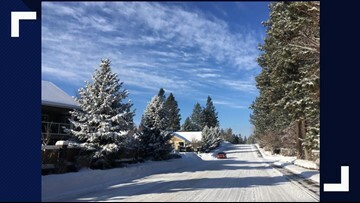 Three to four inches of snow are expected in Spokane. 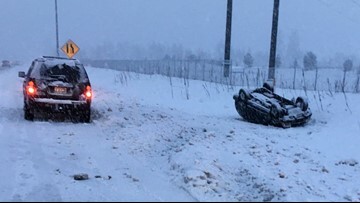 Officials throughout the Inland Northwest are reporting multiple crashes and slide-offs due to slick, snow-covered roads. 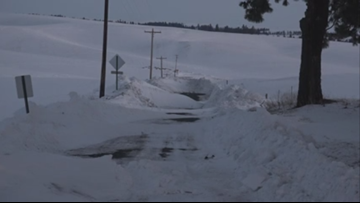 On the county's rural roads, many residents cannot access their homes due to feet of blown snow. During the winter, you often hear meteorologists report the wind chill and how cold the air feels.